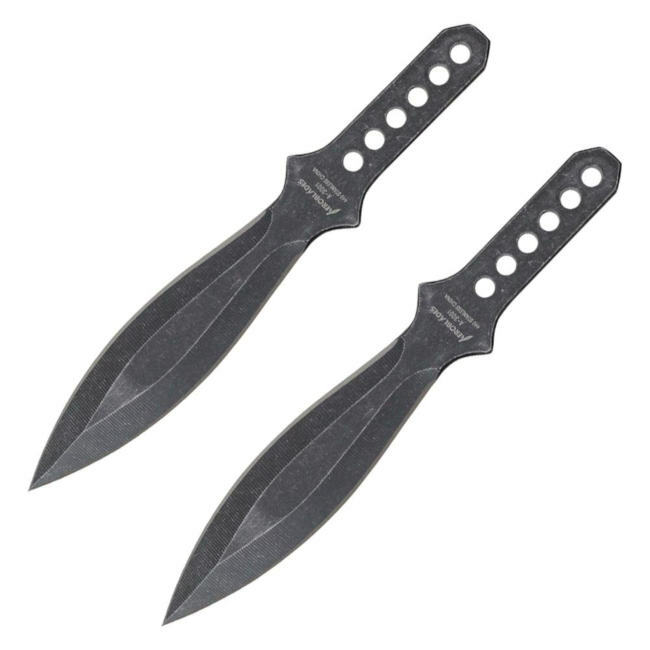 Set of two throwing daggers in a rugged black steel finish. Perfect size for learning how to make these stick into your target. Great gift idea too! 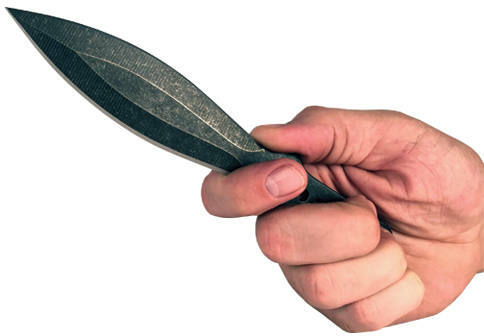 Set of two throwing daggers in a rugged black steel finish. Perfect size for learing how to make these stick into your target. 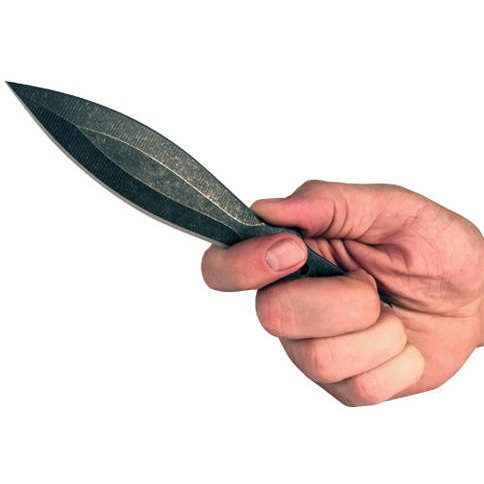 2 Piece Throwing Knife Black Color, 7.5" Length, 2 Piece Set, made from 440 stainless steel, great beginner to intermediate throwing knife. Includes sheath pouch for knives.